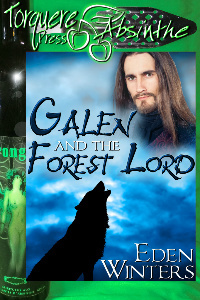 My latest work, Galen and the Forest Lord, is a fantasy/shifter/humorous tale of just over 30,000 words, set to publish Saturday, September 10. In honor of the release, Chris at Stumbling Over Chaos is hosting a contest. All you have to do is comment on the thread at her site, saying you'd like to enter, and she'll toss your name into the hat for an ebook copy, to be delivered after it releases from Torquere Books. While you're there, check out the fascinating linkety's, Misadventures in Stock Photography, and the pictures of the very photogenic Chaos and Mayhem. On release day, I'll be hosting the Torquere Press LiveJournal, where I'll talk about Galen and the Forest Lord, post excepts, and discuss what else I've got in store. Any commenter's name will be tossed into the hat, and a name drawn to win a copy of Galen. Your can find me at this link, but not until Saturday, September 10. By the time Galen Olaf-kin woke up and smelled the spiced ale, it was too late, and he never finished the wicked deed for which he stood trial. Banished from his home, he flees to the forest, taking nothing but the unwanted infant he's rescued. Perhaps the legends are true and the Forest Lord will take them both in – he's said to give sanctuary to outcasts, but none of the stories mention the naughty, tempting things he whispers, or that he shares Galen's forbidden passions. Lord Erik rolls his eyes at the prophecy that says when human hands deliver a babe to the forest he’ll meet the mate destined to reunite forest folk with humankind. What interest has he in a child? The handsome human that brings the babe is another matter entirely, and a little thing like destiny won't stand in Erik's way of claiming the golden-haired Galen as his own. Or will it? Sometimes prophecies are overrated, legends incomplete, and heroes not always the sharpest swords in the scabbard. Thanks for doing the giveaway! I can't believe it! Just one more week. I've got pre-release jitters. And just one week after Galen, my Charity Sip comes out, and part three of The Match Before Chrismas is about ready to submit. What a busy month!! Yeah. And having so many edits back to back can leave a gal needing a drink. I've been spotlighted at It's Raining Men!